At Powell Orthopedics & Sports Medicine in Birmingham, Alabama, we offer a range of orthopedic services including the diagnosis and treatment of shoulder, elbow, and wrist pain. 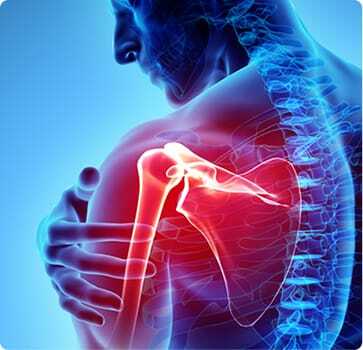 Shoulder or elbow pain can be caused by heavy lifting, arthritis, repetitive joint motion, and sports injuries. Many wrist problems result from overuse, arthritis, sports injuries, and work injuries, causing debilitating pain and reduced functionality. From treating torn rotator cuffs to broken bones, we have the experienced, compassionate care you need. Orthopedic surgeon Dr. Thomas E. Powell can diagnose what’s causing your pain and come up with a personalized solution to help lessen your pain and return function and movement to the injured area. We are skilled at diagnosing many different shoulder, elbow, and wrist problems, and we offer appropriate treatments based upon your injury, including joint replacement or reconstruction when needed. Below you’ll find the most common conditions our shoulder, elbow, wrist, and hand specialist evaluates and examples of the treatments we offer. For superior care of the shoulder, elbow, and wrist in Birmingham, Alabama, make an appointment at Powell Orthopedics & Sports Medicine by calling (205) 877-9191 today. You can also use our online appointment request form.